The TIM model is a useful framework to evaluate your e-learning practitioner skills. 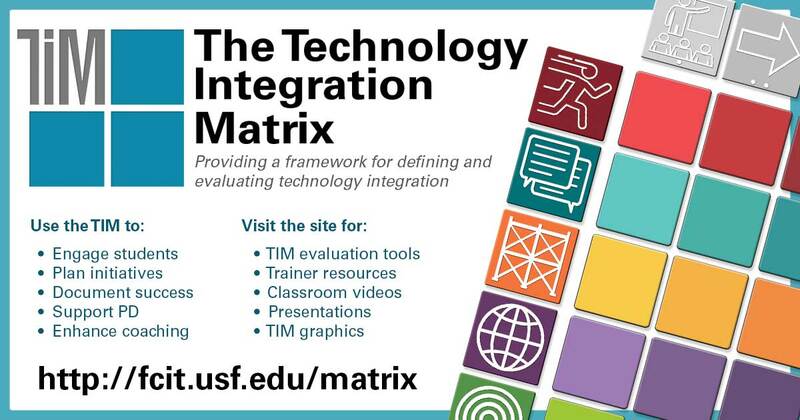 Developed by the University of South Florida, TIM stands for “Technology Integration Matrix”. The purpose of TIM is to provide a common vocabulary for teachers using technology in their learning environments. Constructivist learning theory underlies the TIM model that emphasises active, collaborative, constructive, authentic, and goal-directed learning. 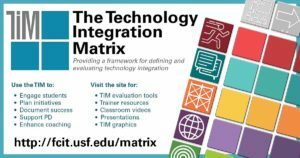 The model recognises that the degree to which technology can be integrated with these attributes can vary, and associates the attributes with five levels of technology integration: entry, adoption, adaptation, infusion, and transformation. 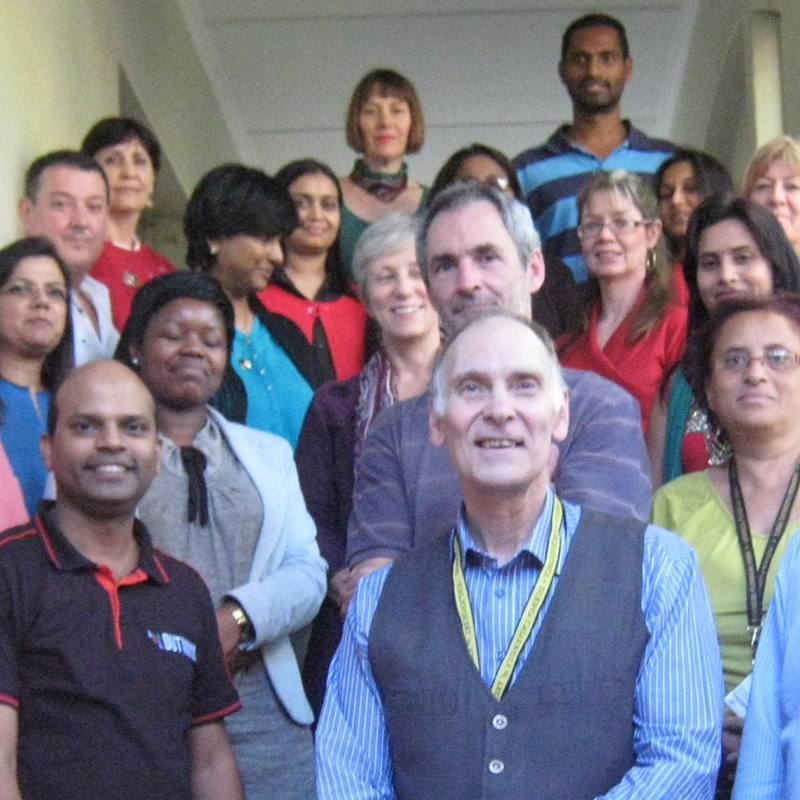 Eileen MacAvery Kane joined South African colleagues Herman Botes and Hendali Steynberg in an intercontinental presentation to an audience of e-learning enthusiasts at Durban University of Technology. Their Collaborative Online International Learning (COIL) project “Building Bridges between Cultures” (see previous blog post) showcased the quality and depth of the international educational experience that students can enjoy in a well-designed and skillfully facilitated online space. 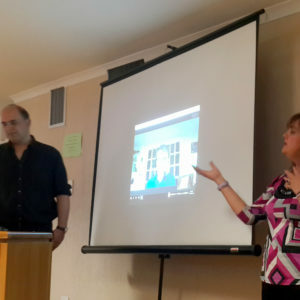 The seamless way in which the session was conducted, with the challenge of having one presenter thousands of kilometres away in the United States demonstrated the ease with which participants can be brought together for international learning. Herman Botes is Head of the Department of Visual Communication, and Hendali Steynberg a lecturer in the same department at Tshwane University of Technology in South Africa. Eileen MacAvery Kane is a full-time instructor in the Art Department at Rockland Community College, Suffern, New York. Eileen has authored and designed the books Ethics: A Graphic Designer’s Field Guide, East End Stories, Teacup Secrets and the blog ethicsingraphicdesign.org.